He was born in Borshchov (Borshchiv), eastern Galicia. He graduated from high school and from the philosophy faculty at Warsaw University. He was a teacher in Lublin until the autumn of 1939. During WWII he remained in Poland. 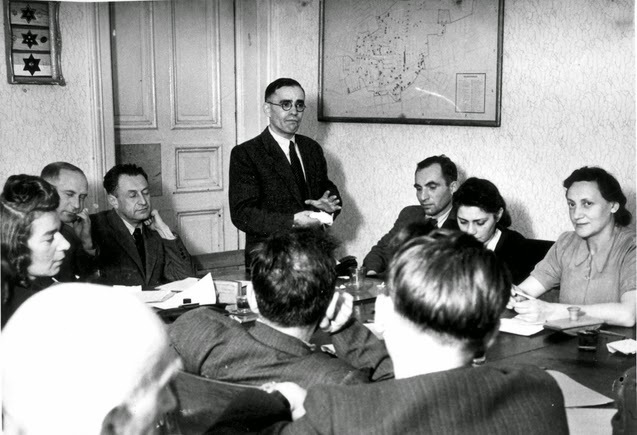 After the Holocaust, he served as vice-director of the Central Historical Commission in Lodz and a judicial expert during the trials of the war criminals in Poland. From 1949 he was living in Israel, a member of Kibbutz Lohamei Hagetaot (Ghetto fighters). He published articles about literature and history in Literarishe bleter (Literary leaves), Vokhnblat (Weekly news), Arbeter-tsaytung (Workers’ newspaper), and Foroys (Onward)—in Warsaw; Togblat (Daily newspaper) in Lublin; Dos naye lebn (The new life) in Lodz; Bleter far geshikhte (Pages for history) in Warsaw (1948); and the entry “Warsaw” in vol. 1 of Entsiklopediya shel galuyot (Encyclopedia of the Diaspora) (Tel Aviv, 1953). He edited Dapim leḥeker hashoah vehamered (Pages in the examination of the Holocaust and the revolt) which started to appear in April 1953, published by Kibbutz Hameuḥad, and Yediot (News). He translated in a shortened form into Yiddish: Poyerim (Peasants) by Władysław Stanisław Reymont [original: Chłopi]; wrote a forward to Sh. Shayevitsh’s volume of poetry entitled Lekh-lekha (Get thee out), the first work of a martyred victim that appeared after the Holocaust in Poland. He adapted the book Słowa niewinne (Dictionary of Nazi terms), a dictionary of German expressions which the Nazis employed in the ghettos and concentration camps, and he put together a volume of documents, Ruch Podziemny, Rok pracy Centralnej Żydowskiej Komisji Historycznej (Underground movement, work of the Central Jewish Historical Commission) (Lodz, 1946). His books would include: Shmuesn vegn der yidisher literatur unter der daytsher okupatsye (Talks on Yiddish literature under the German occupation) (Buenos Aires: Association of Polish Jews, 1966), 189 pp. ; Tsurikblikn (Looking back) (Tel Aviv: Hamenorah, 1973), vol. 1; Verter un vertlekh fun der khurbn-tkufe (Words and sayings from the Holocaust era) (Tel Aviv: Peretz Publ., 1981), 330 pp. He died in Tel Aviv.